A Power Contactor is an electrically-controlled switch used for switching an electrical power circuit. A Power contactor is typically controlled by a circuit, such as a 24-volt coil electromagnet controlling a 230-volt motor switch. Power contactors are almost exclusively fitted with normally open Power contacts. Unlike relays, Power contactors are designed with features to control and suppress the arc produced when interrupting heavy motor currents. 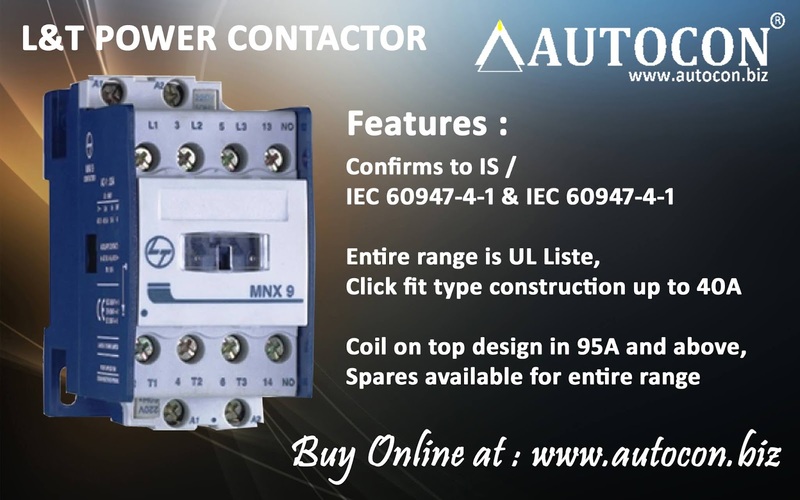 Power Contactors come in many forms with varying capacities and features. Unlike a Circuit Bracker, a Power contactor is not intended to interrupt a Short Circuit current. Power Contactors range from those having a breaking current of several amperes to thousands of amperes and 24 V DC to many kilo volts. The physical size of Power contactors ranges from a device small enough to pick up with one hand, to large devices approximately a meter on a side. PVC Channel cutters like these use a ratchet mechanism that allows you to apply continuous force with a minimal amount of motion and effort. The only downside to tools like this is that they will only cut pipe up to a certain size. Most cutters will cut Channel up to a 5mm nominal size, but all cutters are different. Be sure to check the maximum Channel size your cutters will accommodate before buying. That’s why this special tool is so handy. To begin using your PVC Channel cutters, pull the handles all the way apart. This will engage the ratchet mechanism and open up the cutting blade. Now if you try to close it, the mechanism only allows you to close it a little at a time. With each squeeze of the handles another rung is engaged and the blade is pushed down a little further. When you’re ready to begin cutting, make sure the cutters are open. Hold them so that the blade is on top and the curved support is on the bottom. Lay your Channel on that Flat and line it up approximately where you want the cut to be made. Begin ratcheting the handle by squeezing it. I find it easiest to anchor the Channel cutters on a table or the ground – especially since my PVC Channel cutters are the heavy-duty sort. When the blade is about to touch the Channel, make sure it lines up precisely with the mark you’ve made on the Channel. Continue squeezing the handle and ratcheting the cutters until the blade is completely lowered and the pipe breaks apart. The result should be a nice, clean cut. These channel cutter are highly economical and time saving. Make sure the cutters are open. Hold them so that the blade is on top and the curved support is on the bottom. Lay your Channel on that Flat and line it up approximately where you want the cut to be made. Begin ratcheting the handle by squeezing it. Emisun Solar Panel absorb Sunlight as a source of energy to generate Electricity. A Panel module is a packaged, connected assembly of typically 6x10 PV Solar Cells. PV modules constitute the photovoltaic array of a PV System that generates and supplies Solar Electricity in commercial and residential applications. A single solar module can produce only a limited amount of power; most installations contain multiple modules. A photo voltaic (PV) system typically includes an array of photo voltaic (PV) modules, an Inverted, a storage. Module electrical connections are made In Serials to achieve a desired output voltage or In Parallel to provide a desired current capability. The conducting wires that take the current off the modules may contain silver, copper or other non-magnetic conductive transition metals. Bypass Diodes may be incorporated or used externally, to maximize the output of module sections still illuminated. Electric energy or electricity can be produced directly from solar energy by means of photo voltaic (PV) cells. The photo voltaic (PV) cell is an energy conversion device which is used to convert photons of sunlight directly into electricity. It is made of semi conductors which absorb the photons received from the sun, creating free electrons with high energies. The Hand Pallet Truck is steered by a Tiller like lever that also acts as the pump handle for raising the Pallet Truck. A small handle on the tiller releases the hydraulic fluid, causing the forks to lower. The front wheels inside the end of the forks are mounted on levers attached to linkages that go to levers attached to the Heavy Duty Hand Pallet Truck cylinder. As the hydraulic jack at the 'tiller' end is raised, the links force the wheels down, raising the load upward until it clears the floor. The pallet is only lifted enough to clear the floor for subsequent travel. Oftentimes, pallet jacks are used to move and organize pallets inside a trailer, especially when there is no Heavy Duty Hand Pallet Truck access or availability. Our entity has effectively prolonged its business in market owing to the offered high quality assortment of Hand Pallet Truck 2.5 Ton. Ideal for lifting applications. The provided truck is used in diverse industries for material handling purpose. In addition, our offered truck is highly demanded in the market owing to its features like less maintenance and unmatched quality. Capitalizing on the ability of our skilled personnel, we are keenly instrumental in delivering a comprehensive array of Hand Pallet Truck 2.5 Ton. Quickly and economically at a time to suit you. Keeping your forklift professionally maintained is vital in ensuring the operator and equipment safety. S K Engineers are the leading Manufacturer, Wholesaler and Trader of Heavy Duty Hand Pallet Truck, Solid Tyre & Wheels, Material Handling Equipment and much more. A six Port Bird Feeders are the most common type of feeders. They can vary in design from tubes to hoppers and trays. Sunflower seeds or mixed seeds are popular for use in these feeders and will attract many song birds such as Finches, cardinals, and Chickadees. Black sunflower seeds are especially popular with bird enthusiasts. The outer shell of the black Sunflower seeds are thinner and easier to crack than other types of sunflower seeds. In addition, the kernel is larger than the striped or white sunflower seeds. Sunflower seeds also contain a large amount of fat and There are very useful in Winter. Six Port Bird Feeders are designed to dispense sunflower-sized foods and Small Birds Food Like Cardinals but there are specialty "finch feeders" with smaller openings to dispense the tiny Niger seed, which is a favorite of smaller finches and Small Sparrow.This Six Port Feeders are Specially Make for Small Birds Like Sparrows and Finches by Pet nest. Six Port feeders are mainly squirrel proof or hopper. Due to the need of keeping squirrels away from the bird food, Pet Nest have created different defense mechanisms that may deter squirrels from getting close to the seed. Birds can still feed as they weigh less and the ports remain open under their weight. Other seed feeders are designed to be mounted on poles as it is believed that squirrels reach six port feeders more easily from trees than from poles. The simplest type of six port feeder is a Food Grade Plastic. These feeders also offer protection from larger and more aggressive birds. These six port feeders is Food Grade Plastic. and The Simplest type of six port feeders are used In cage and Garden. feel-up inside in any Small seeds like Niger seeds, Fiches seeds, Chickadees, cardinals Etc.